Oil on canvas, 37.5 x 29.5 cm ( 14.8 by 11.6 in). Signed in monogram "HK" and with the artist´s estate stamp on the reverse. Decorative original frame. Dimensions framed: 57 x 50 cm ( 22.4 by 19.7 in). Notes: There been only a limited number of paintings at his estate sale, which appear in delicated colours. Furthermore, his works, which are signed in monogram are especially rare. 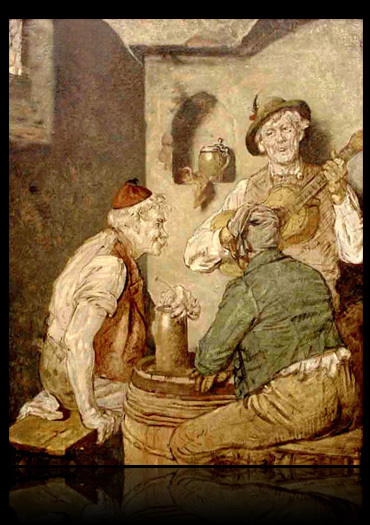 An atmospherical painting of the 19th Century by the well known Munich artist. Fine original condition.